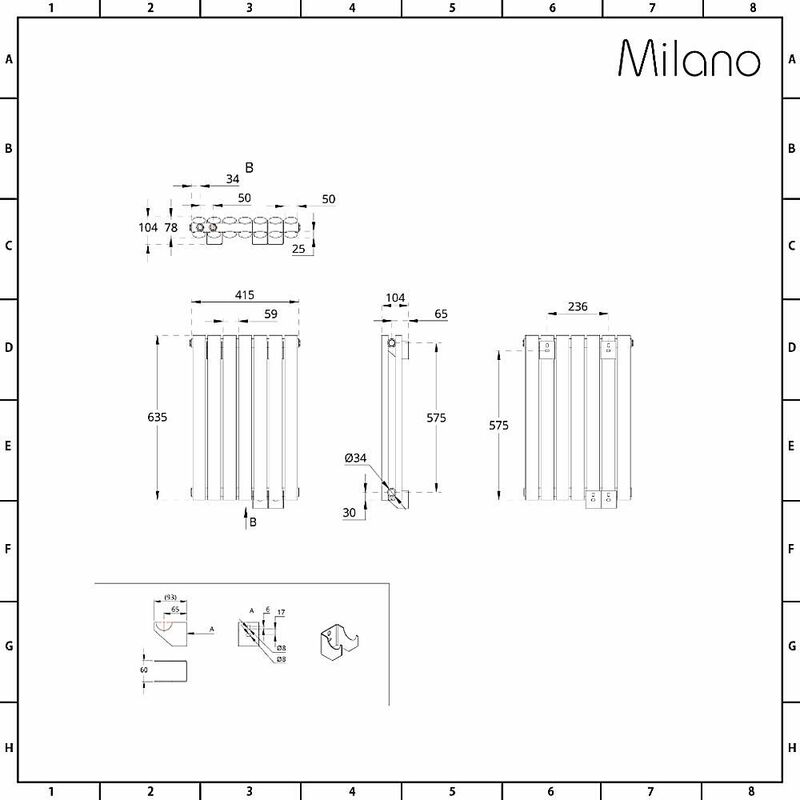 A compact and yet surprisingly powerful model, the Milano Aruba Flow 635mm x 415mm horizontal double panel designer radiator is ideal for adding a touch of sumptuous designer styling to a small space. 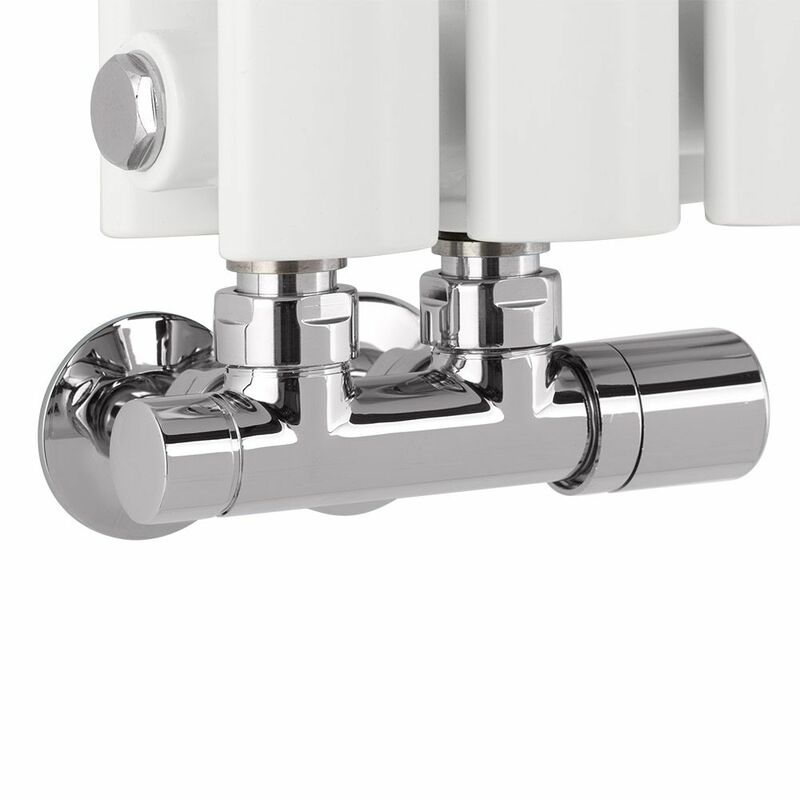 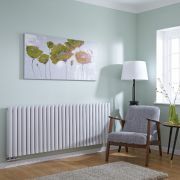 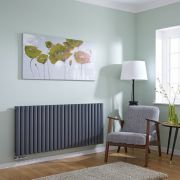 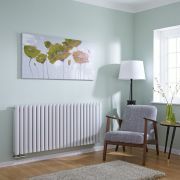 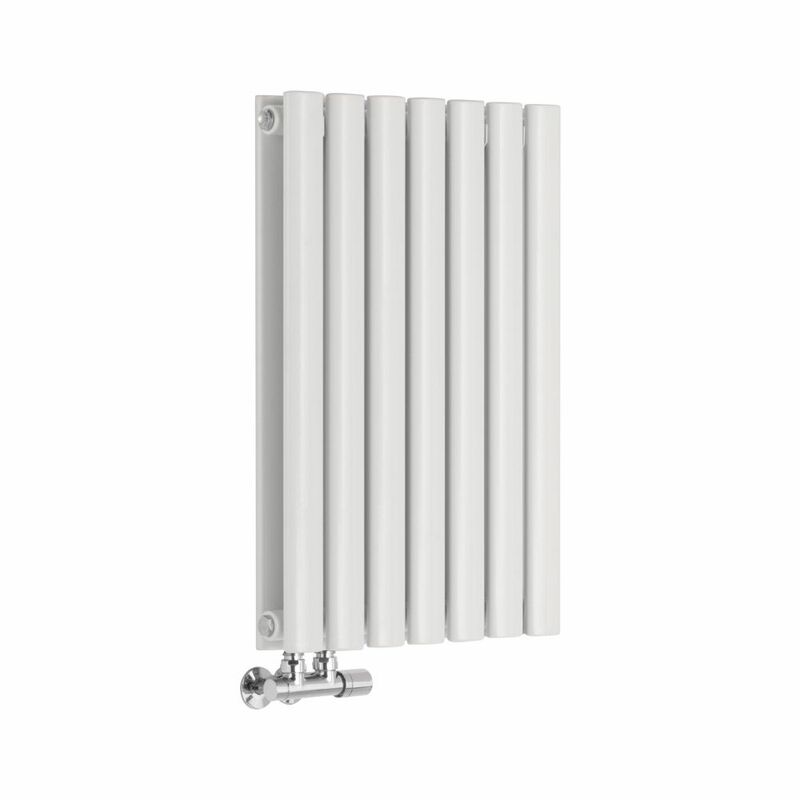 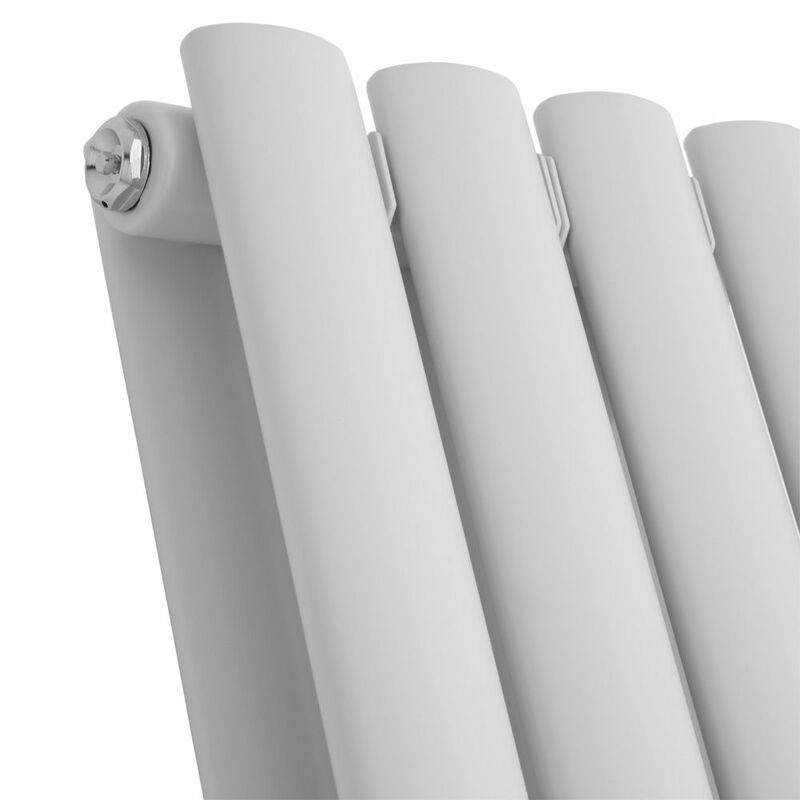 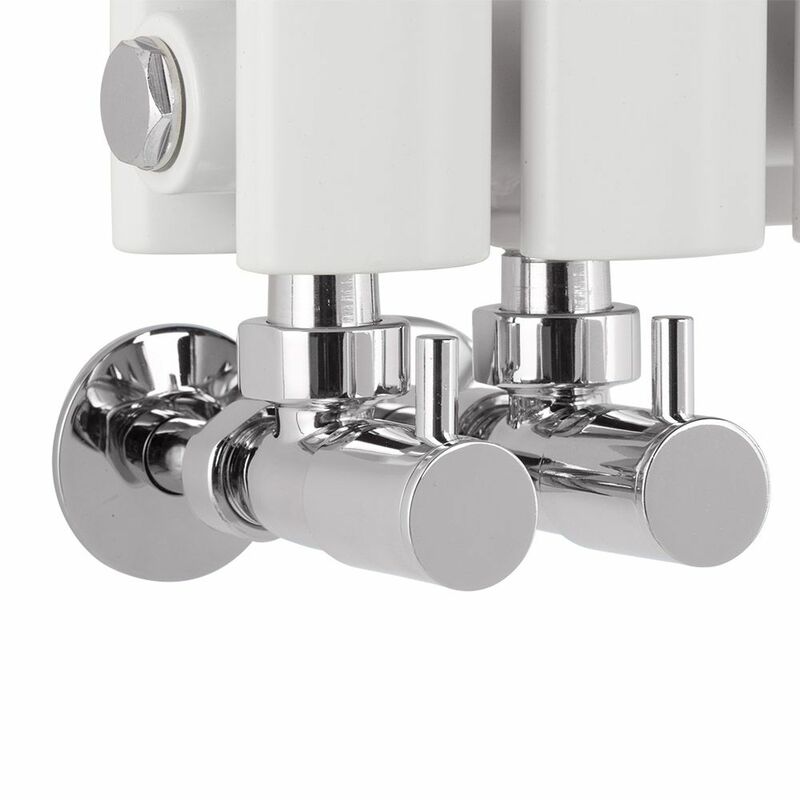 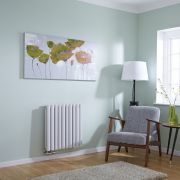 With middle connection valve inlets to help complement the slim-line aesthetic, this horizontal designer radiator makes a perfect addition to a modern bathroom, cloakroom or ensuite. 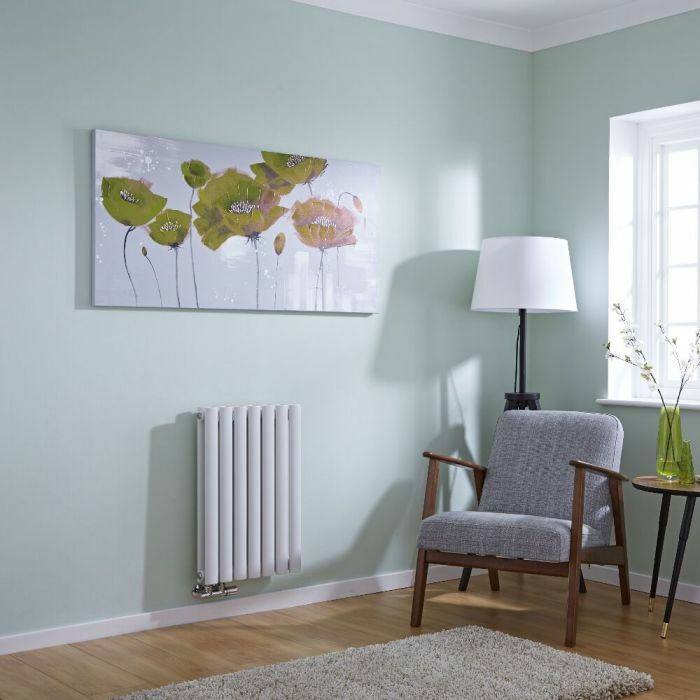 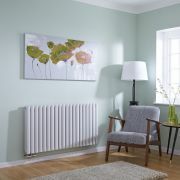 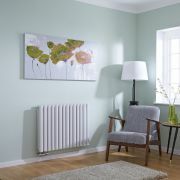 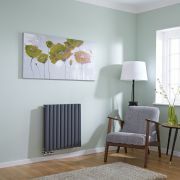 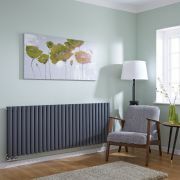 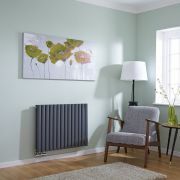 Made from premium quality steel for guaranteed durability, this radiator produces an impressive hourly heat output to ensure your room is quickly transformed into a warm and welcoming space.